This is a sponsored post on behalf of H2O at Home. I received free product in exchange for this post. All opinions are 100% my own. Like many, I have really embraced the KonMari Method since the release of her show on Netflix. I have always been somewhat of a minimalist, but with her method, I feel like it gave me an even deeper purpose to this lifestyle and the harmony of my home. 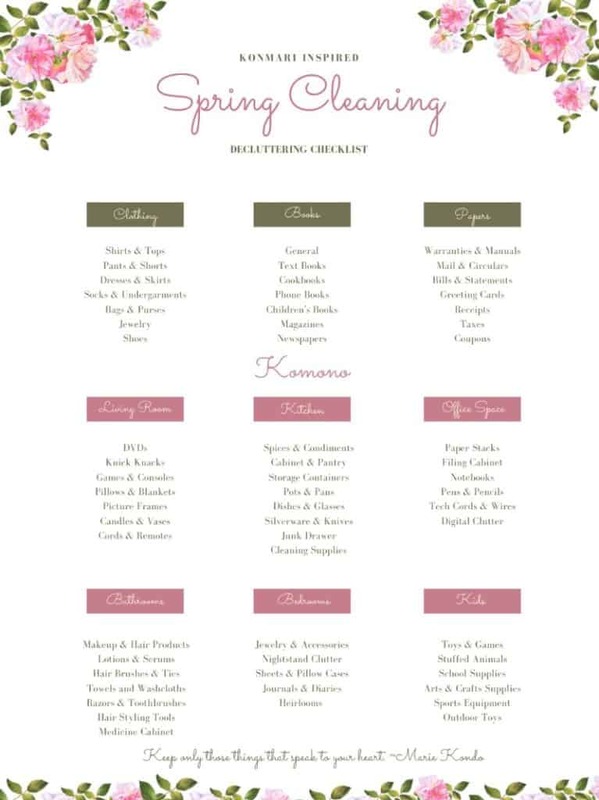 A few years ago I was introduced to H2O at Home, a direct sales company that shares in the desire to bring health and harmony to your home through their natural home and personal care solutions. 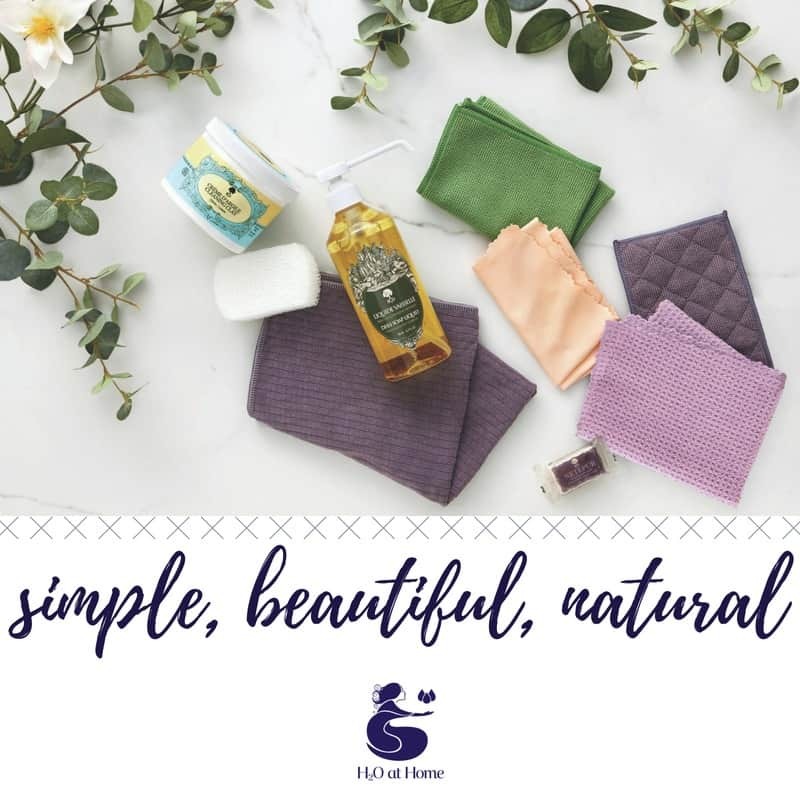 All H2O at Home Products are made with natural ingredients to give you the cleanest home possible without harsh chemicals. As I have been going through my house applying the KonMari Methods, I am completing the process by cleaning my home with my favorite H2O products. 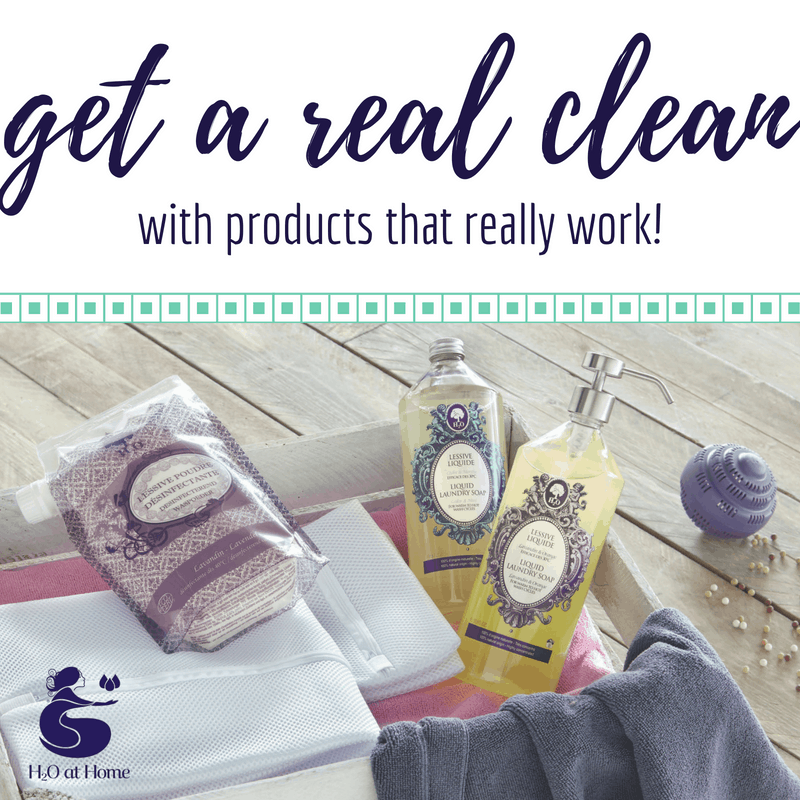 It only makes sense that once I get the toxic clutter out – I do not put a layer of toxic chemicals right back in! 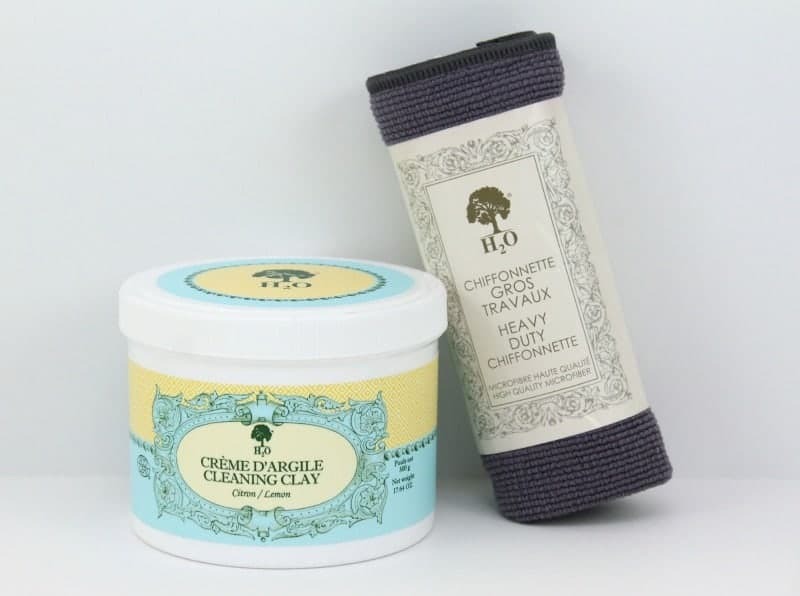 My two favorite products from H2O at Home are the Heavy Duty Chiffonnette and the Cleaning Clay. The Heavy Duty Chiffonnette quickly cleans almost any surface with just a little bit of water! Yes – water! The high-quality microfiber lifts dirt and absorbs moisture easily. The H2O at Home Cleaning Clay is a great all in one cleaner that works wonders on ceramic, pots & pans, glass, granite, grout, and more! It will even shine up your silverware and jewelry! 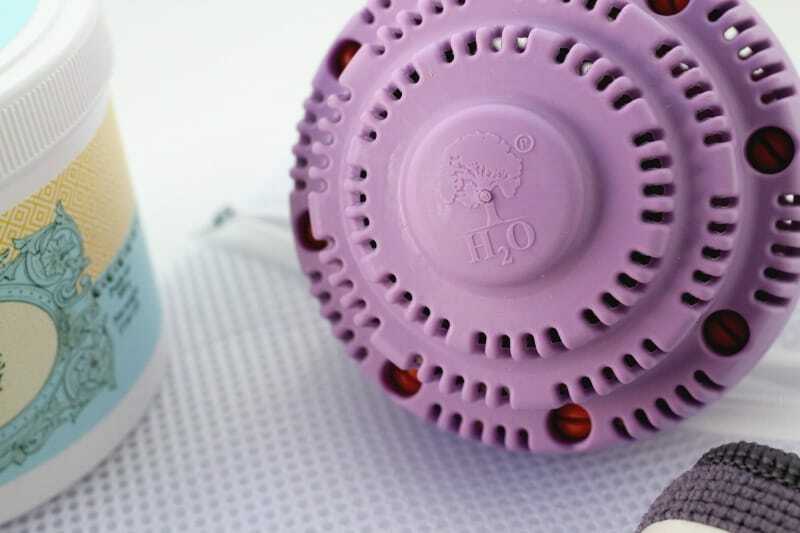 All without any harsh chemicals or heavy odors! H2O wants to take cleaning up even further – by keeping our environment clean as well. Not only are their ingredients ethically sourced and sustainable, but even the packaging and outer packaging is biodegradable or recyclable. 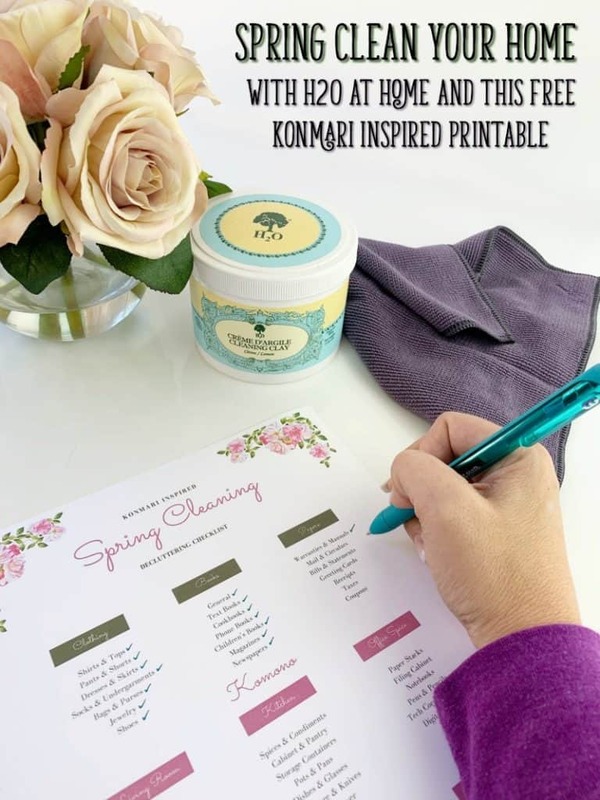 You can get a jump start on Spring Cleaning with my free KonMari Inspired Spring Cleaning Checklist and be sure to finish by making your home truly clean with H2O at Home. 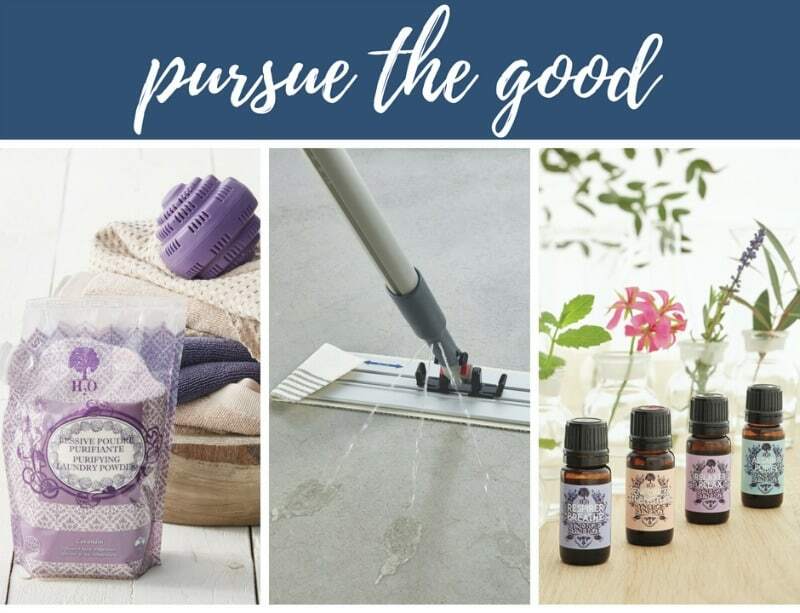 You can even earn free products by hosting a party, or if you are passionate about cleaning and the environment, H2O at Home offers a unique and profitable business opportunity. Check out the H2O at Home website to learn more about everything H20 at Home has to offer!